I of course took a ton of photos and will be finished editing all of the photos from the parties soon and will have more goodies to share, including all of the details and some fun blog posts detailing how I made some of the things you will see in the party photos. So much fun, this was. Here's what you get in this collection . . .
1. 3 banners - this collection has three different banners. One that says 'happy birthday' and is smaller than the other two. 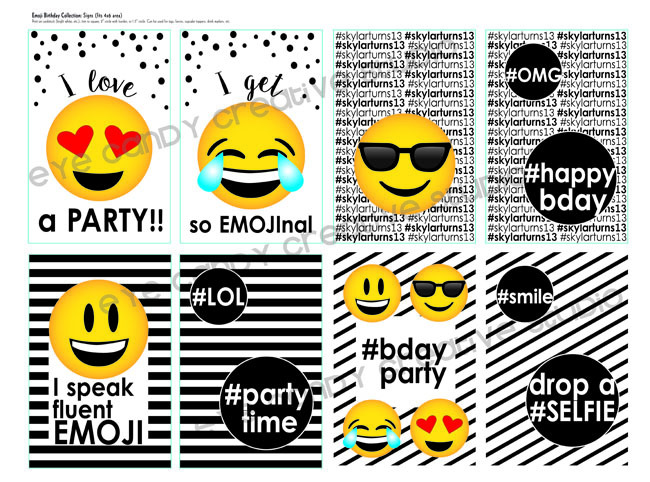 The other ones say #partytime and #soemojinal - all of them come with the four featured emojis in this collection. 2. toppers/ circles - you get two pages of themed 'Happy Birthday' designs that also include customization with the person's age and name. ~ use for accents to your table decor - simply cut them out or use a circle punch, glue to popcorn boxes, decor or toothpick & done! Also included are a page of thank you toppers. 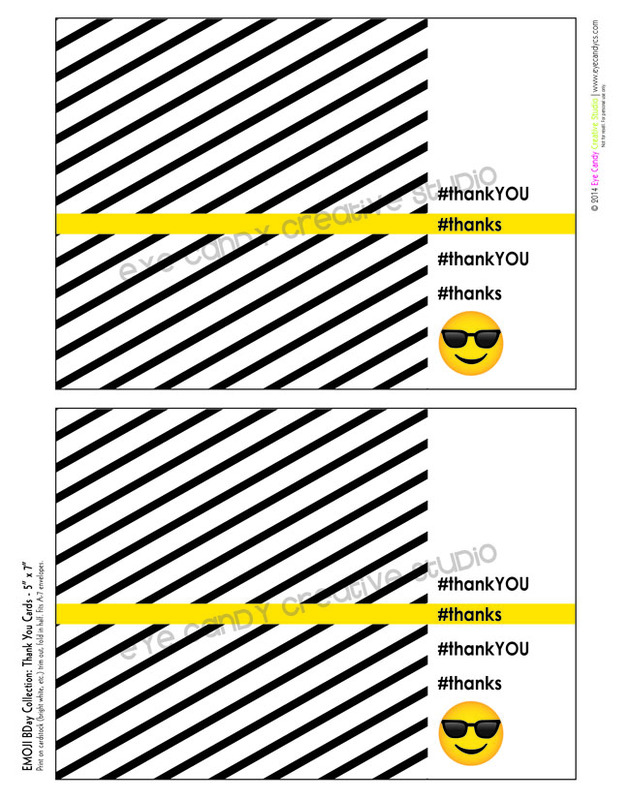 I also made a sheet of THANK YOU tags that you can attach to your party favors or something else. 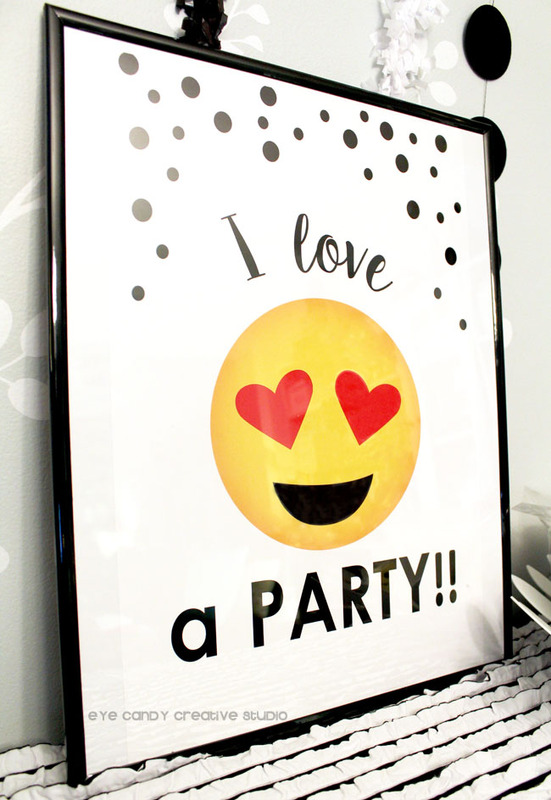 3. poster- this poster comes in at a 11x14 size and says I love a Party. 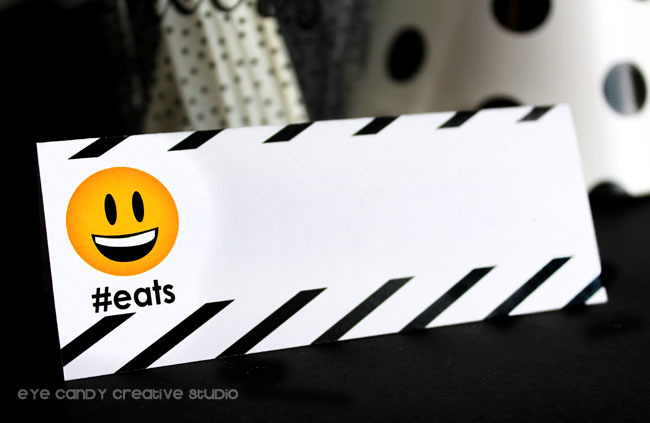 4. signs - comes with 8 different designs and can be customized with YOUR info! 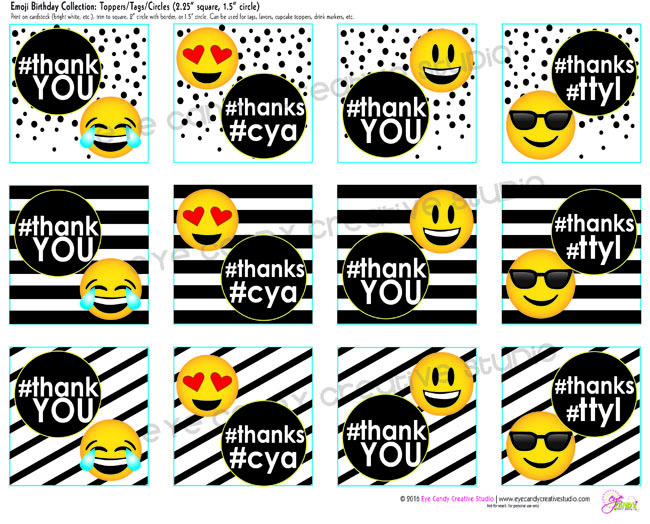 6. thank you cards - comes with this design . . .
7. photo props - comes with the four featured emojis and some fun hashtags like you see here . 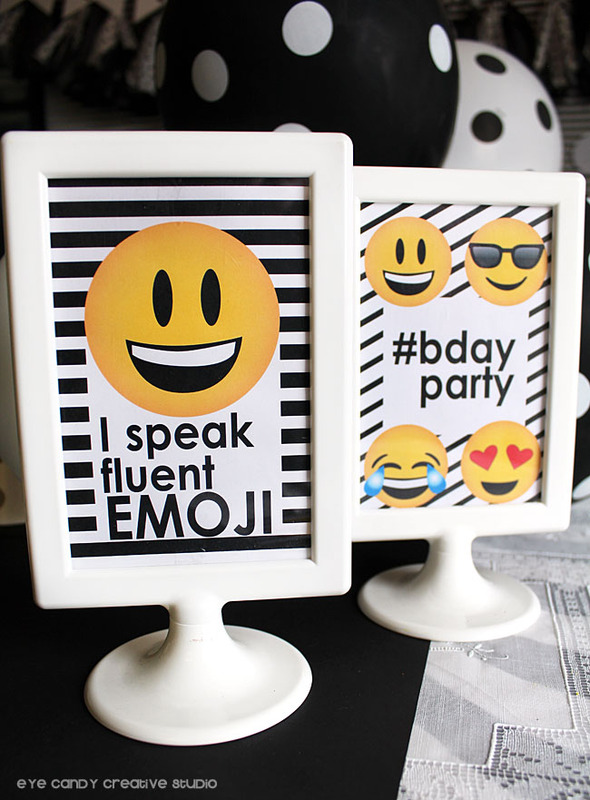 . .
You can now find this EMOJI birthday collection in my Etsy shop! 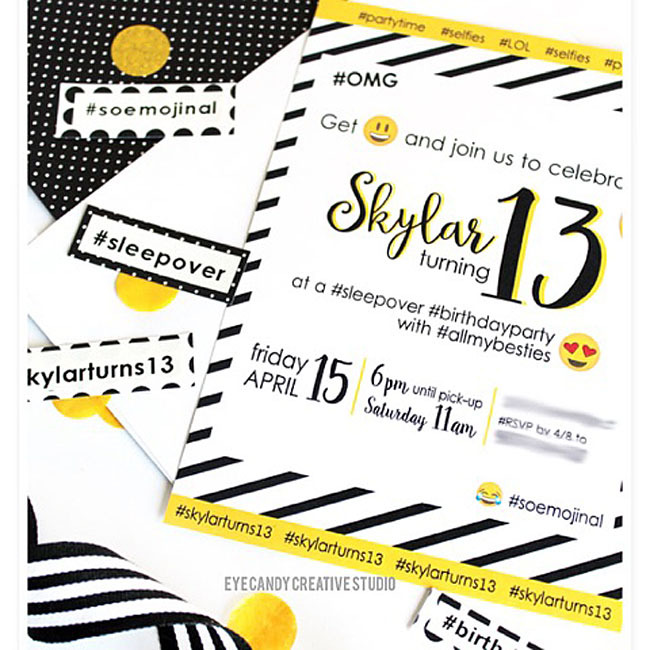 Your kids will LOVE this theme if they love social media and texting as it's the perfect theme for smaller kids to those tween and teen parties! Have some fun with it & keep checking back as I will have all of the details of my daughter's party on the blog here soon. and a SECOND invite option is available as well. 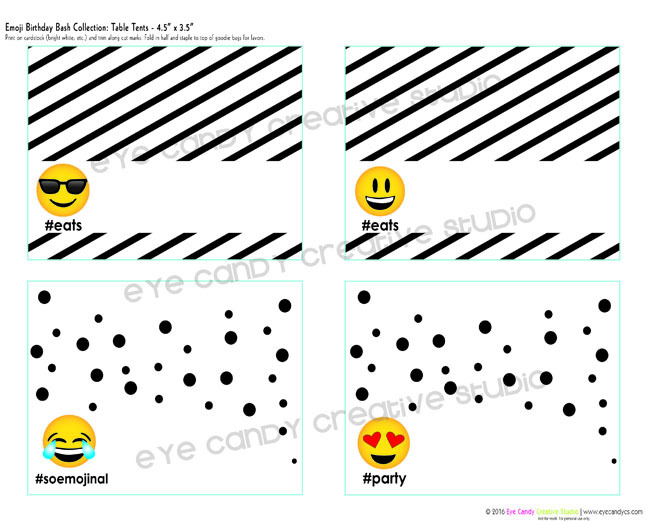 My daughter couldn't decide on just one design, so we used one for her emoji sleepover and then one for the family party! 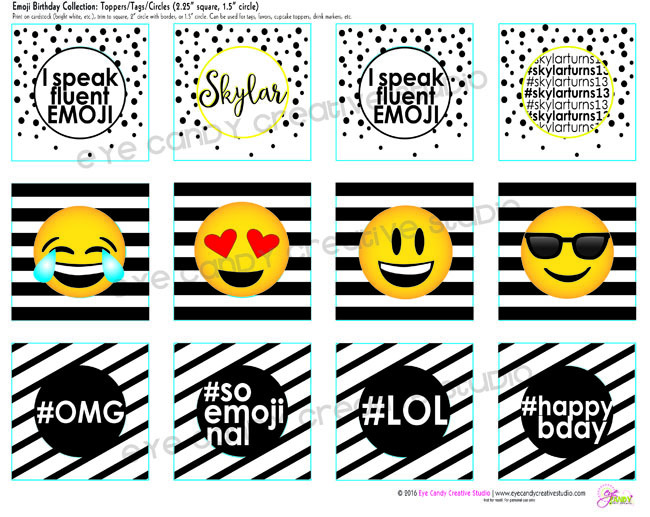 This collection is ready for you to grab from the shop & have an awesome EMOJI birthday party for that special someone! Oh fun! I think this is an awesome theme for a party! My kids would love it. Wow to a 13 year old! And another wow to the theme! 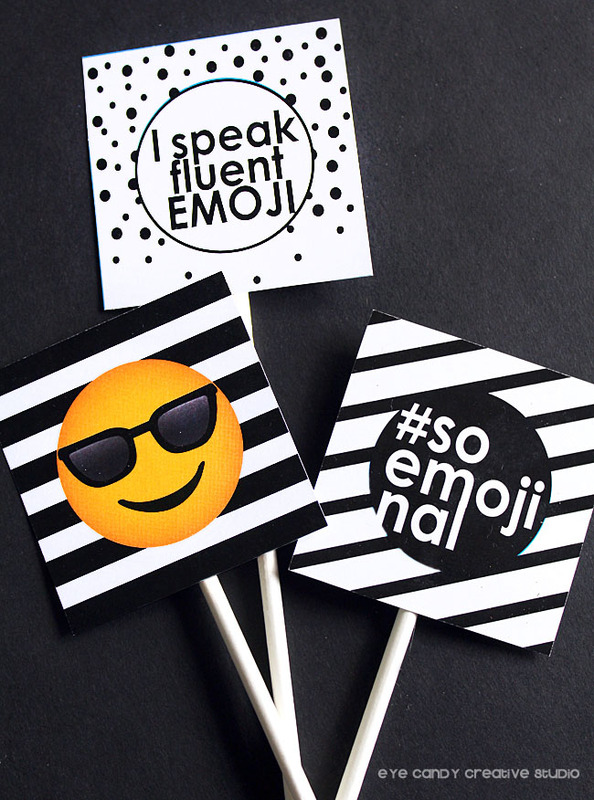 These are so fabulous and I bet they were a hit at the sleepover! This turned out so gorgeous! 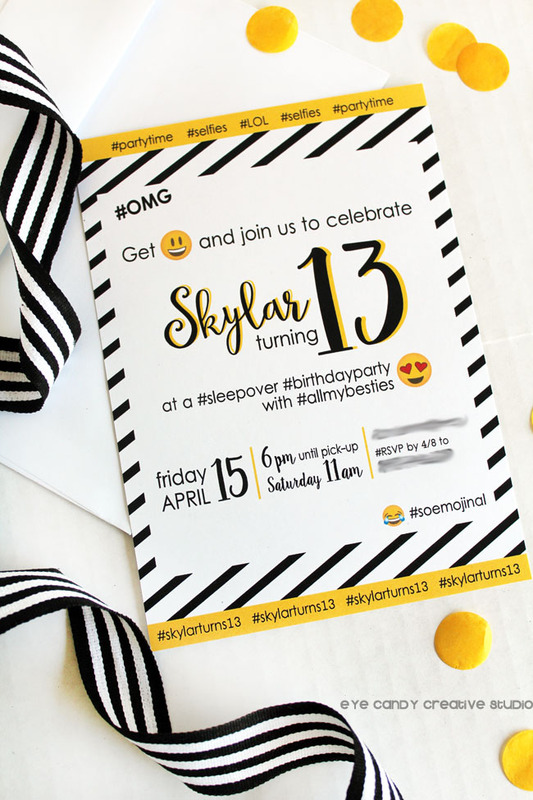 What a darling party, perfect for a brand new teenager! Love it! How fun are these??? One of my friends has her birthday next month, and 2 of her kids! I'll be sure to show her this! My son is the king of emjoi's so he would absolutely love this idea. I will have to show this to him and hear what he says. Emojiiiiiss, my son loves these little yellow faces. Don't understand his fascination, but he'd love this theme. This is such a great idea for a teenager party. Speaking in emojis seem to be their thing at the moment so I know this theme would be a hit. Oh my goodness this is too cute and so perfect for a teen party. This is an awesome party idea! 13 - that I don't think I could handle right now. My oldest will be 8 next month and I am pretty much freaking out about it! I just asked my son a couple days ago, What is with all the emoji stuff? !They sure do like it. Hahaha. This looks amazing. Great job! Adorable! Emoji stuff is all the rage!! These should sell like hot cakes! McDonald's has Emoji's in their happy meals now! 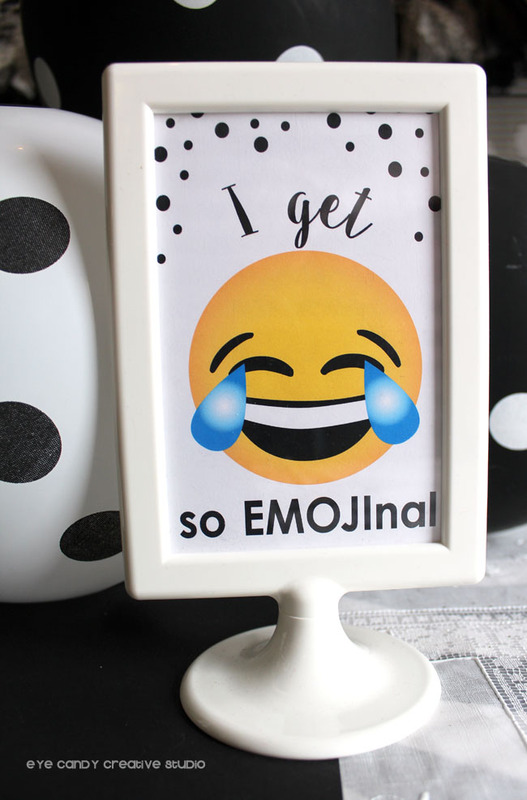 My pre-teen wants an emoji birthday party! 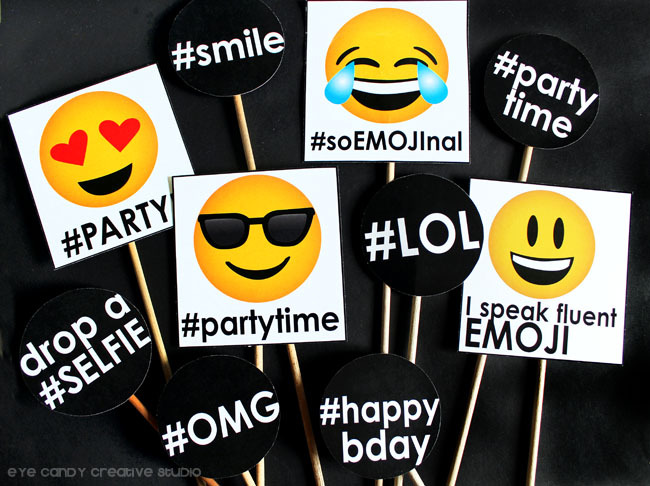 An emoji party is a fun idea. Can you imagine what the kids will think when they look back at photos of their emoji birthday. Haha Or what their kids will think. Even funnier. They grow up so fast, don't they? I adore this collection. It is perfect for tweens and teens! This is such a great collection. I can imagine there are teens all over the world who would love to use these for a birthday party or just because. Heck, I would love a few of them for myself. Cute !!! 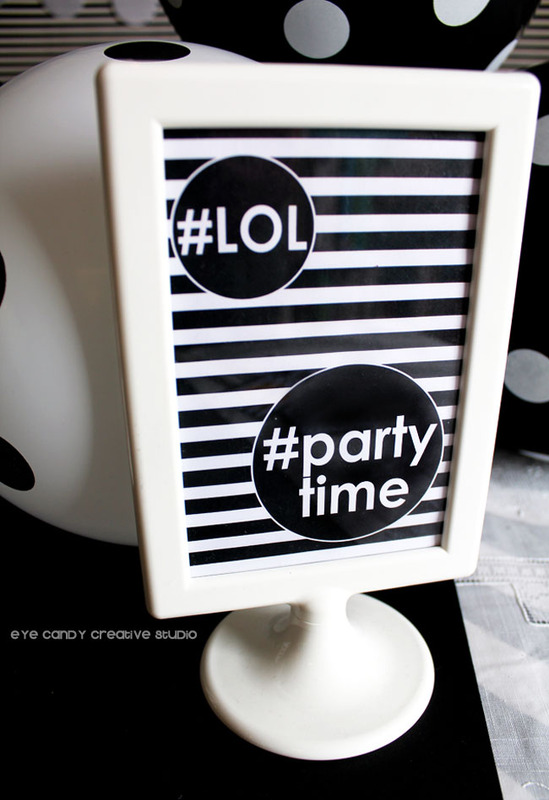 Loving this as it's unique I loved theamed ideas and printables I had them every party ! Oh my goodness, this is super cute!! I'll have to use these for a party! This is so fun! My mom goes overboard with emoji's and my sister and I always tease her about it. This would be a hilarious theme for her 60th birthday! 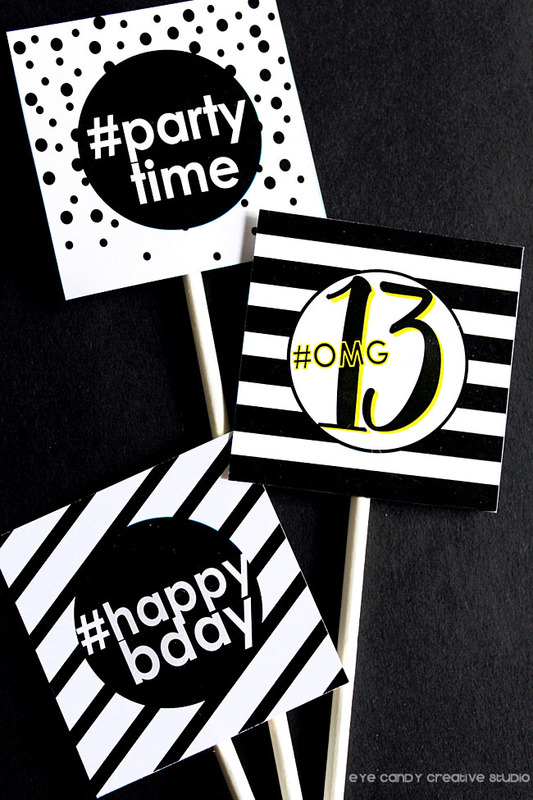 OMG my daughter i turning 13 next month and I am totally using this! 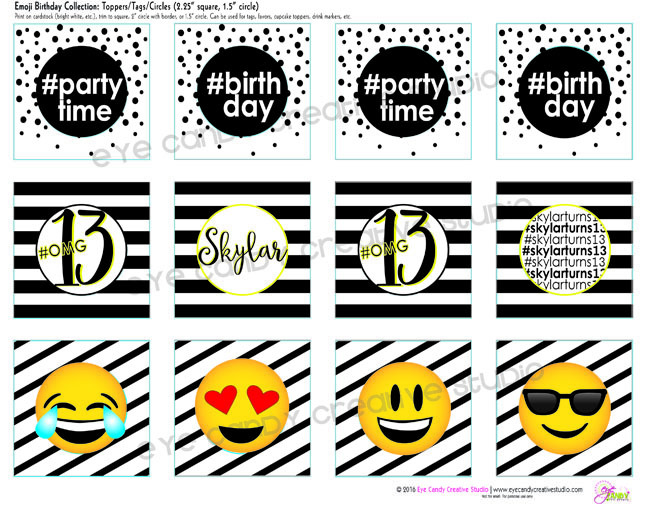 Everything about her birthday is going to be emojis. What a great idea! What a cute idea! I would have never thought of this as a theme! Thanks for sharing. 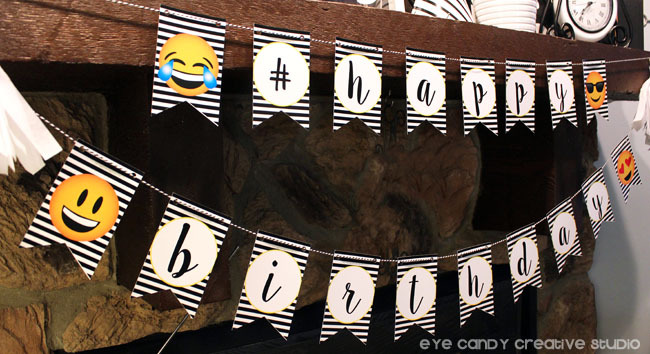 Such a fun and unique idea for a birthday party! I love it! Emojis are just so fun! Love this absolutely adorable emoji collection you have! Totally rocks! I am so into emoji too. I found a set of stickers and have been going crazy over them with my planner. These are such a fab idea, for any age. Who doesn't love an emoji?! Thanks for sharing this! What fun !!! I love all of these great decorations. So creative. Love it! 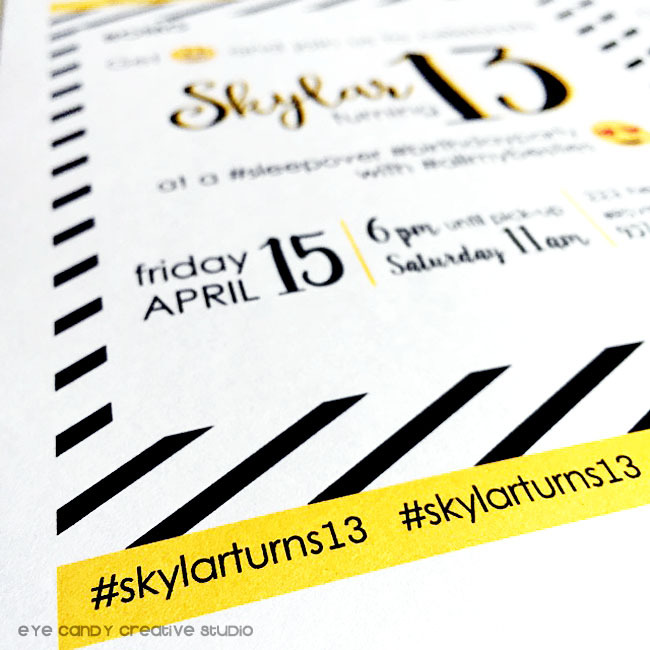 Such an unique way to have themed ideas and printables! What a cute party idea! Definitely something I have never seen, and who doesn't like using emojis? These are amazing graphics! 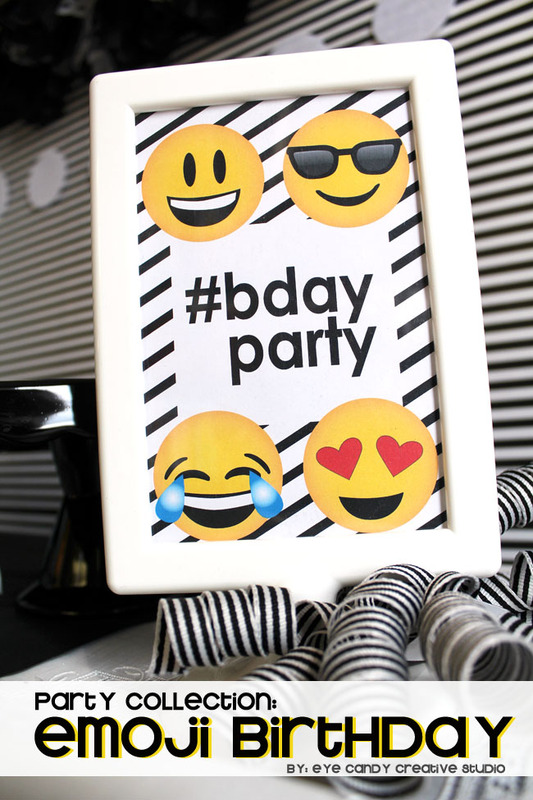 An emoji party is such a creative and very "in" idea for a teenager's birthday party! 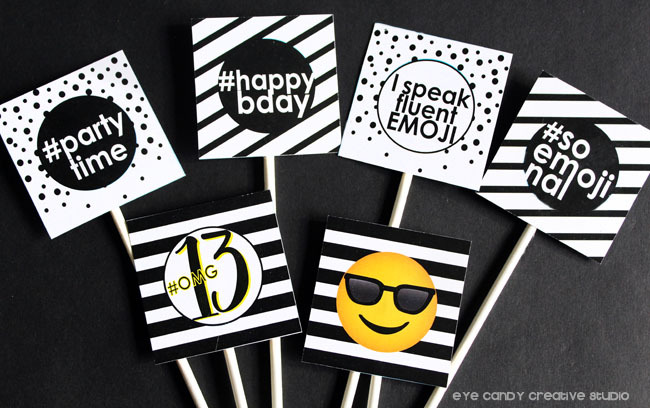 I love the idea of an emoji-themed birthday party! This is a great theme for today's teen and tween crew! I was thinking of doing this for our exchange student's birthday party coming up in a couple weeks. I absolutely love these. These are such a cute idea! Emojis are great because they can have several different meanings because everyone sees them differently. That is the cutest birthday party idea!! I know emojies are all the rage lately for kids of all ages. I love what you did with it. This is going to go crazy on Pinterest! 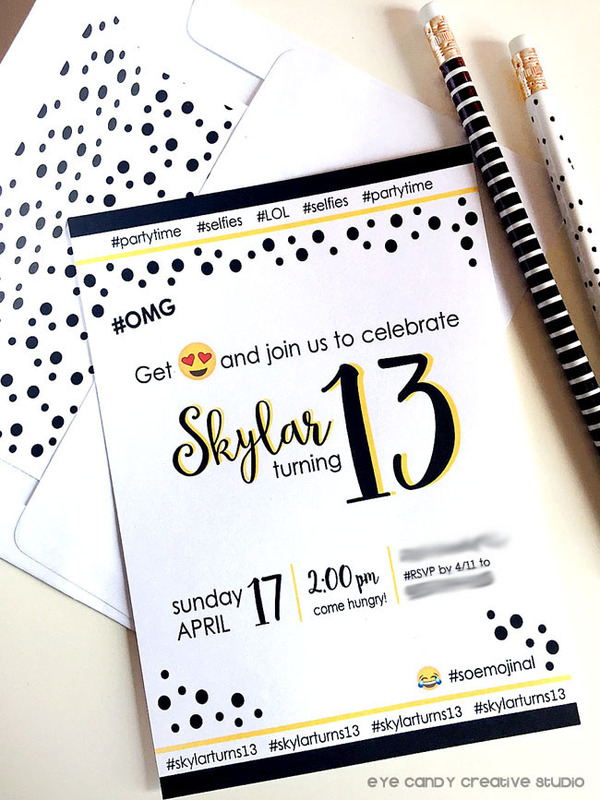 Oh my gosh, this is the most fun party theme ever!!! :) I seriously love it!